AN ORDINANCE ESTABLISHING RATES AND CHARGES FOR WATER, SANITATION, AND SEWER IN THE TOWN OF EADS, COLORADO, REPEALING ALL INCONSISTENT ORDINANCES AND DECLARING AN EMERGENCY. 1. Where a single meter serves a location within the Town of Eads at which there is a single residence, there shall be a minimum monthly charge of $41.48 for the first 3,000 gallons used. All water used in excess of 3,000 gallons shall be billed at the rate of $1.50 per 1,000 gallons used. 2. Where a single meter serves two residential units at a location inside the Town of Eads, there shall be a minimum monthly charge of $82.96 for the first 6,000 gallons used. All water used in excess of 6,000 gallons shall be billed at the rate of $1.50 per 1,000 gallons used. 3. Where a single meter serves apartments, mobile home parks or motels at a location inside the Town of Eads, there shall be a minimum monthly charge of $54.67 per meter for the first 3,000 gallons of water used. All water used in excess of 3,000 gallons shall be billed at the rate of $1.50 per 1,000 gallons used. 4. Except as specifically otherwise set forth herein, where a single meter serves a location within the Town of Eads at which there are one or two businesses, including governmental entities, each of which is owned or managed by different persons, there shall be a minimum monthly charge of $41.48 for the first 3,000 gallons of water used. All water used in excess of 3,000 gallons shall be billed at the rate of $1.50 per 1,000 gallons used. 5. Except as specifically otherwise set forth herein, where a single meter serves a location within the Town of Eads at which there are three or more businesses, including governmental entities, each of which is owned or managed by different persons, there shall be a minimum monthly charge of $54.67 for the first 3,000 gallons of water used. All water used in excess of 1,000 gallons shall be billed at the rate of $1.50 per 1,000 gallons used. 6. Where water service is provided outside the Town of Eads, there shall be a minimum monthly charge that is $24.12 more than would be charged for the same type of facility within the Town of Eads. All water used in excess of the applicable minimum gallons shall be billed at the rate of $1.50 per 1,000 gallons used. 7. Should situations arise that are not specifically addressed above, the Town Clerk shall apply such above-described rate as is most nearly consistent with the situation in question. Any interested person may apply to the Board of Trustees for reconsideration of the Clerk's determination. The rate for Bulk Water will be $8.00 per 1,000 gallons. There will be a $100.00 monthly minimum charge for all Keytroll accounts. 1. The occupants of every structure used as a residence within the Town of Eads shall be charged $17.12 per month for sanitation regardless of whether they request sanitation services. The provisions of this paragraph shall not apply where a higher commercial rate applies. 2. All non-residents that are on town water and town sewer shall be charged $17.12 per month for sanitation regardless of whether they request sanitation services. 3. All non-residents who are on town water, but not town sewer, and who request sanitation, shall be charged $23.18 per month. 4. Non-residents who wish to bring their non-commercial trash in to the dumpsters at the town shop shall be charged $17.12 per month. Commercial use shall require prior approval of the Town Board at rates to be negotiated on a case by case basis. 5. Churches shall be billed as residential. 6. All businesses within the Town of Eads, including governmental entities, shall be charged $22.47 per month for sanitation. 7. Any business or resident who requests a dumpster only used by them shall be charged $42.43 per month for each 3 yard dumpster, and/or $53.78 per month for each 4 yard dumpster. 8. Sanitation rates for users whose rates are not specified above shall be set from time to time by the Board of Trustees. Such rates shall be set with a view to reflecting actual dumpster usage. 1. Apartments with more than 10 units shall be charged $67.76 per month. 4. Trailer parks, multiple houses connected to one water meter and duplexes shall be charged $18.72 per month. 6. New users not specifically defined above shall be placed in the category that most nearly reflects the new user's anticipated usage. The initial category shall be assigned by the Town Clerk. The user may apply to the Town Board for review of the initial categorization. SECTION V. LATE FEES. A late fee of $10.00 shall be added to every water, sewer and sanitation bill that is not paid by the 16th day of the month. SECTION VI. TURN-ON FEES. A charge of $50.00 shall be charged to connect or re-connect to the Town of Eads Water System. Person shall also pay an amount equal to the actual cost of all materials from the water main to and including the water meter, meter housing and all cost of labor for installing such materials. SECTION IX. SEWER SERVICE REQUIRED. Every premises within the Town that is intended, designed, or capable of being occupied by humans, and every premises within the town that is actually occupied by humans, shall be required to be connected to the Town sewer system. The provisions of this Section shall be without prejudice to the Town's power, as provided by statute or other law, to require every premise, including any not specifically described in this paragraph, to be connected to the Town sewer system. In the event a Service Site receives water and/or sewer service, there shall be paid a deposit of $70.00. This deposit shall secure all amounts due in connection with water and/or sewer service provided by the Town, as well as for all other amounts due from the User to the Town. Any unused deposit shall be refunded to the User at such time as the User is no longer obligated to the Town for any amounts, including but not limited to amounts due for water, sewer, sanitation and/or Municipal Court fines, fees and costs. For opening an account for use of the Bulk Water Keytroll Access, there shall be paid a deposit of $1000.00. This deposit shall secure all amounts due in connection with the Keytroll service for bulk water provided by the Town. This amount will be refundable after six months of service provided that all payments have been made by the due date. If User has not made payments or has been late on payments any unused deposit shall be refunded to the User at such time as the User is no longer obligated to the Town for any amounts, including but not limited to amounts due for water, sewer, sanitation and /or Municipal Court fines, fees and costs. For the keys to access the Keytroll Account, there shall be paid a deposit of $300.00. This amount shall secure all amounts incurred with replacing the Keytroll unit and keys. This amount shall be refunded to the User when the account is closed and all of the keys are returned, if the User is no longer obligated to the Town for any amounts, including but not limited to amounts due for water, sewer, sanitation and /or Municipal Court fines, fees and costs. SECTION XI. INFLATION ADJUSTMENT. All fees specified herein shall be adjusted each January 1, to reflect constant inflation adjusted values as measured by the Denver/Boulder Consumer Price Index. However, no downward adjustment shall be made without specific action of the Board of Trustees. SECTION XII. UNAUTHORIZED USE OF DUMPSTERS PROHIBITED. Placement of residential, commercial or industrial waste or refuse in Town of Eads sanitation dumpsters by nonresidents is strictly prohibited unless and until advance arrangements are made with the Town of Eads for such use and the appropriate fees are paid. Every use of a dumpster in violation of this Section IX shall be punished by a fine of $300.00. This paragraph shall not be construed as prohibiting the placement of waste or refuse in dumpsters that are set for public use, so long as either: i) the waste or refuse so placed is generated at or in connection with an event for which the dumpster is placed, or ii) the amount of waste or refuse so placed can be contained in a 13 gallon garbage bag. SECTION XIII. REPEAL OF INCONSISTENT ORDINANCES. 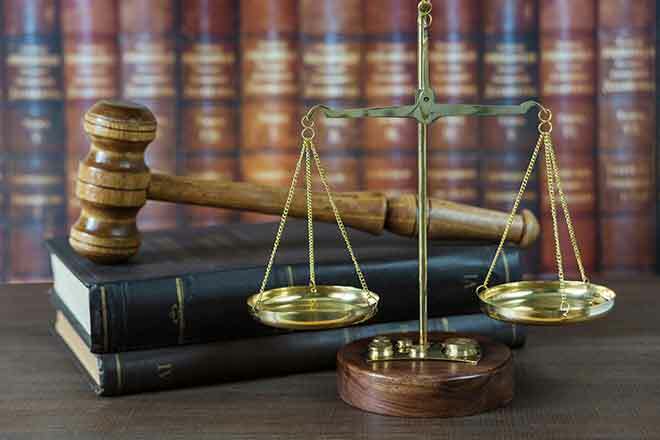 All ordinances or parts of ordinances in conflict with or inconsistent with the provisions of this ordinance are hereby repealed, but only to the extent of such conflict or inconsistency. SECTION XIV. EMERGENCY DECLARATION AND EFFECTIVE DATE. The Board of Trustees of the Town of Eads, State of Colorado, hereby finds, determines and declares that an emergency exists in that an increase in water rates is necessary in order to complete and close financing for improvements to the water system by the end of the year under the best terms available, and this ordinance is necessary for the immediate preservation of the public peace, health and safety and shall be in full force and effect upon its adoption. It is provided, however, that if this ordinance is adopted by an affirmative vote of less than three-fourths of the members of the board of Trustees, it shall take effect and be in force thirty days after its final passage, approval and publication as provided by law. INTRODUCED, PASSED, APPROVED and ordered published by the mayor and Board of Trustees of the Town of Eads, Colorado, this13th day of December, 2016.